Freeze Dried ingredients offer almost instant rehydration in hot or cold water/milk. Freeze Dried ingredients will absorb the level of water to take them back to their original state. The bulk density of freeze dried ingredients is usually low. They offer great visual value for a given weight of product. 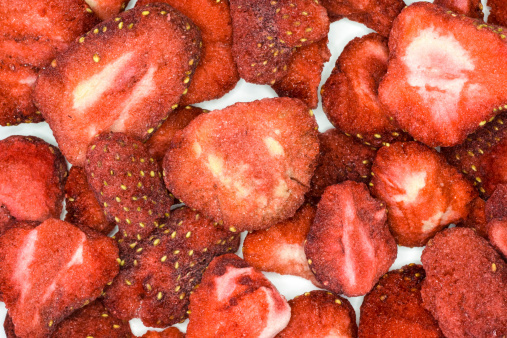 The freeze drying process is great for maintaining colour, flavour and nutrient content of the original fruit/vegetable. Long shelf life at ambient temperature. Large visible pieces that look like the original fruit or vegetable. Instant or rapid re-hydration in hot or cold water or milk. A crispy texture that melts in the mouth. Organic, kosher and halal certifications are available for many individual products.